Bricowifi has created two video tutorials. One of them explains how to perform a live capture (and decoding) of wep traffic. He also made a tutorial describing step by step installation of Xplico. The tutorial is in French but it is very clear. It is available for download the binary package of Xplico 0.5.2 for Ubuntu 9.04. For optimal viewing of web pages reconstructed by Xplico (using only the data in pcap files, and NOT go to the Internet) set the proxy in Firefox at localhost with port 9876. Thanks to * for his help. 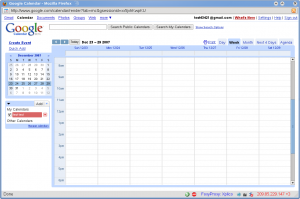 This version of Xplico and especially of Xplico Interface (web user interface) introduce many new features. improvements of the regeneration of web pages. If you search a connection scrambler for Linux that Xplico is not able to recognize, then take a look at SniffJoke 0.3. This release introduce the MMS dissector. With this dissector it is possible to reconstruct the MMS message transported by HTTP protocol and extracts the media contained. With the new release of Web interface it is possible to view photos, texts and videos contained in MMS messages. In this release of Xplico we have introduced the generations of geographical and temporal map of data rebuilding by Xplico. This feature named GeoMap can be used both with console mode and Web interface. The files generated by GeoMap are kml files an can be used with Google Earth. To allow the visualization of the connections whose source is a private IP address, we have decided that the private IP address are located in Venice (this is a temporary solution). An example of MMS over HTTP you can find here.This pcap was generated with Cap’r Makr’ and with the mms of Flavio Poletti. Any bug reports or suggestions are welcome. If you sniff, with tcpdump or other tools, all Gmail traffic (before login) and you give this capture to Xplico using Web interface, then you can view the emails of Gmail, even if you have not read the email (this is true only for the first emails on the list). Obviously, before capture the Gmail traffic, you must clean the cache of Firefox to force the download of all contents, this to allow Xplico to rebuild all data. to enable proxy in Firefox (HTTP porxy: localhost Port: 80). You can use DEFT (v3x, v4, …) to test this feature. 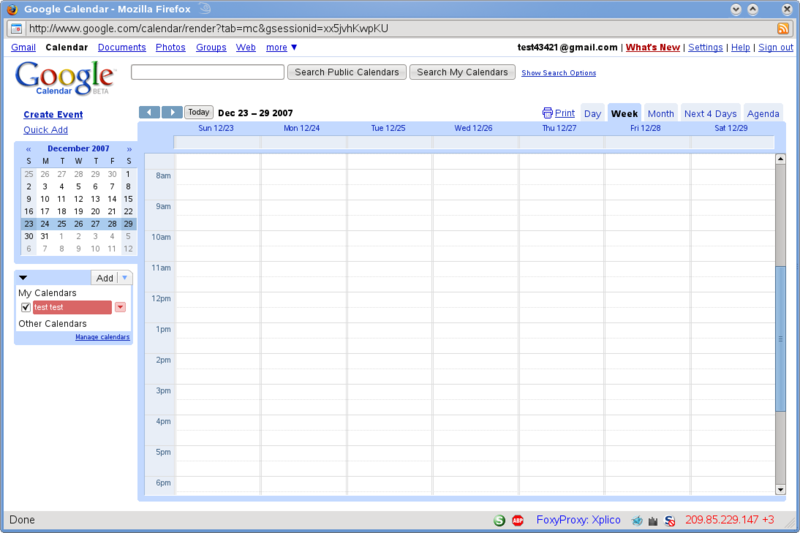 Even Google Calendar can be rebuilt with Xplico. In this screenshot you can view an example, obtained from the pcap file extracted from gmail.com.pcap.e01 archive of PyFlag project. This feature is experimental and it is in development. Now the engine is written in PHP but we are developing an engine in C with many more features. By March there will be a new release of Xplico. This new release will have the geographical map of the reconstructions, and (perhaps) the dissector for Multimedia Messaging Service. An example of geographical map can be found here. This is the first experiment of use of Flare library. Thanks to Raffael Marty for his help with Flare. In this representation are listed all dissectors with their bonds of dependency. This release introduce the IMAP dissector. With this dissector it is possible reconstruct the e.mails transported by IMAP protocol. The web interface it is the same of last version. An example of the effectiveness of SniffJoke is given by this pcap. It is easy to verify that Wireshark and other tools reconstruct the data entering the traffic generated by SbiffJoke, making reconstruction wrong. Try this pcap… with your best tool. Gianluca Costa & Andrea De Franceschi.